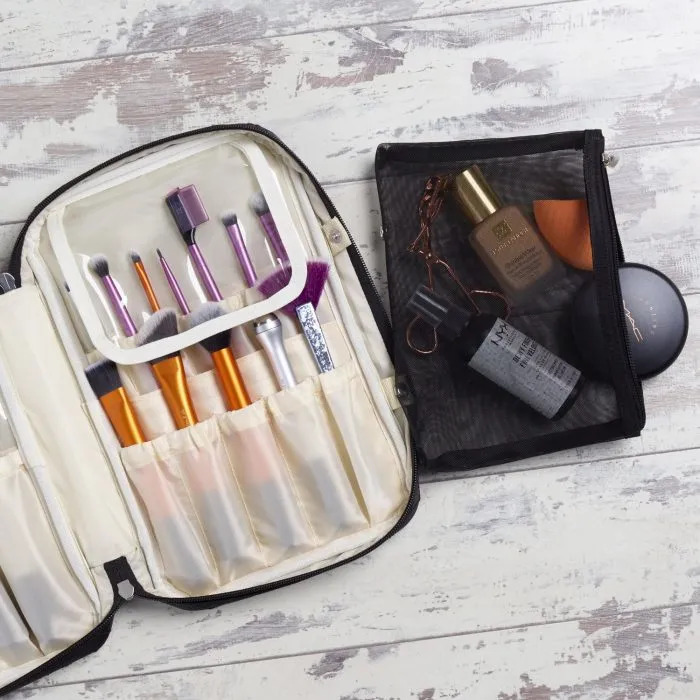 Are you looking for a makeup brush case that is both practical and stylish? Then say HELLO to your new best friend! 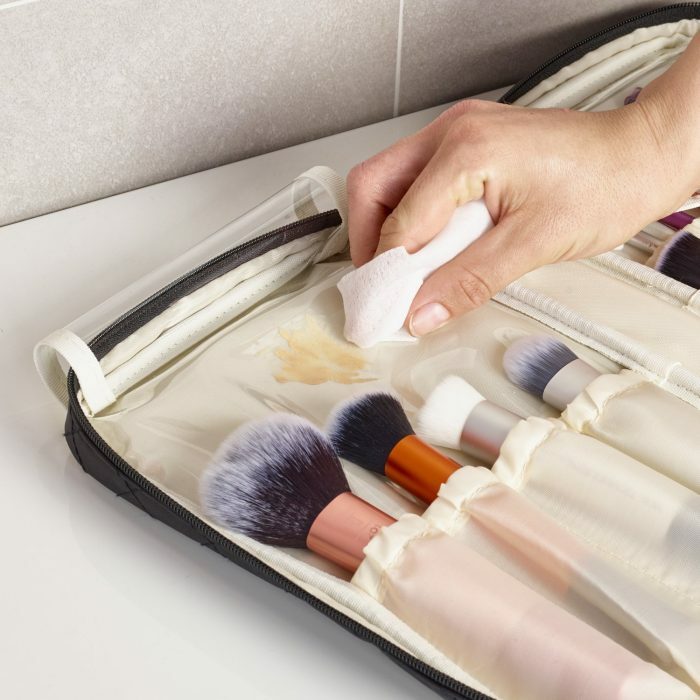 The Ellis James designs Makeup Brush Case offers the perfect solution for storing your makeup brushes, is made of the finest materials and looks amazing thanks to its timeless and classic design. Store all your beauty brushes in the most beautiful, luxurious and elegant setting they deserve, it’s time to shine! Whether as a well-deserved gift for yourself or for someone who really means a lot to you, you will more than love to open your Ellis James Designs gift box to find the latest addition to your collection. We’ve designed this makeup brush case for YOU in mind. You have a busy everyday life and need a bag that seamlessly supports you in your daily beauty and fashion routine. That’s why we’ve designed the perfect bag for your make up brushes with lots of space, to always look perfect at home and when traveling. They’ve thought of everything for the perfect makeup brush travel case! 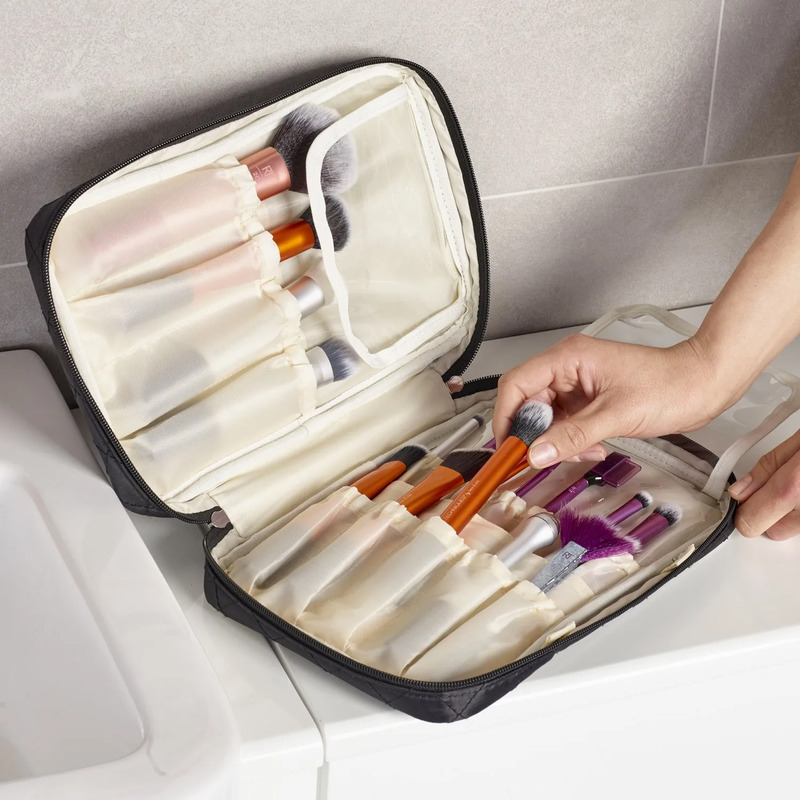 There are so many spots for brushes, there are plastic flaps to keep your brushes from getting the case dirty, and there’s a small detachable bag to keep your sponges and makeup in. This bag is a MUST HAVE! Ellis James Designs does it again! 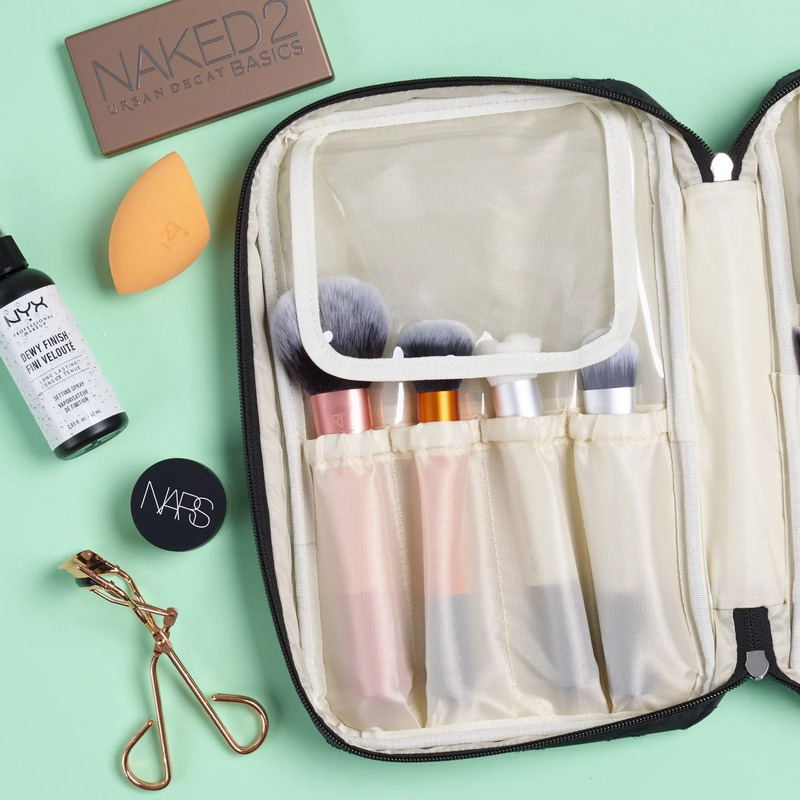 I seriously love this Makeup Brush Bag. 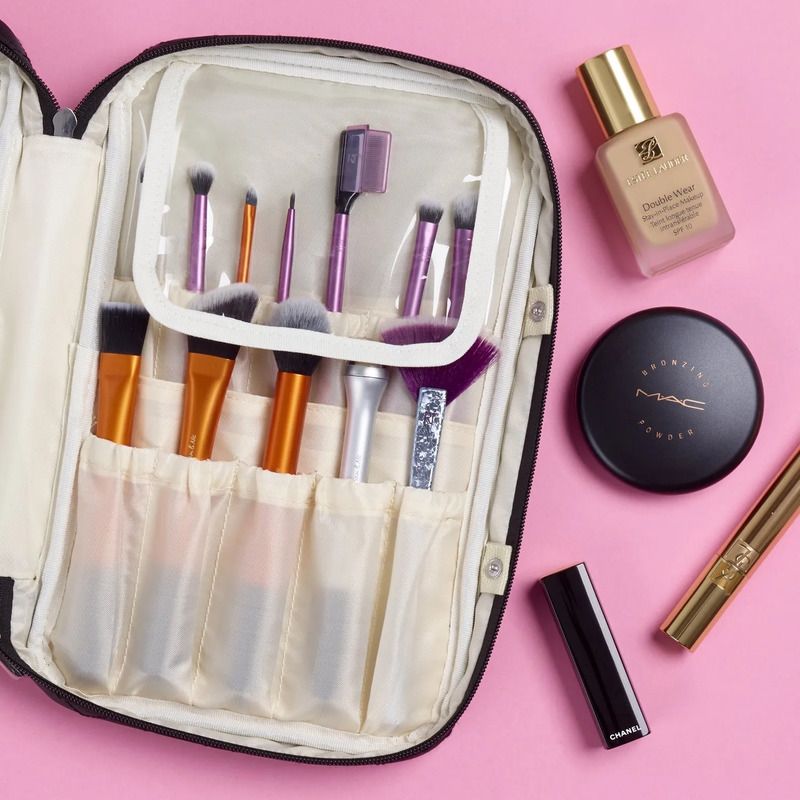 It’s the perfect size, and with 16 brush slots, all of my makeup brushes fit easily inside. It also comes with a detachable pouch which is really handy when being on the go. 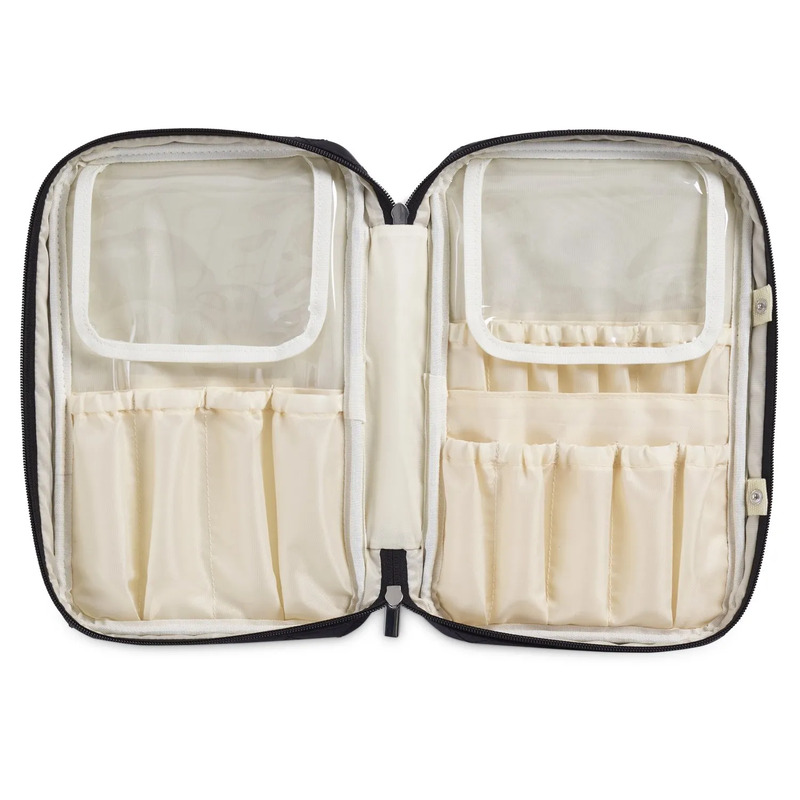 I was able to fit all of my makeup easily in the pouch, and the bag was still able to zip with my makeup AND brushes inside of it! I’d say that’s a win. 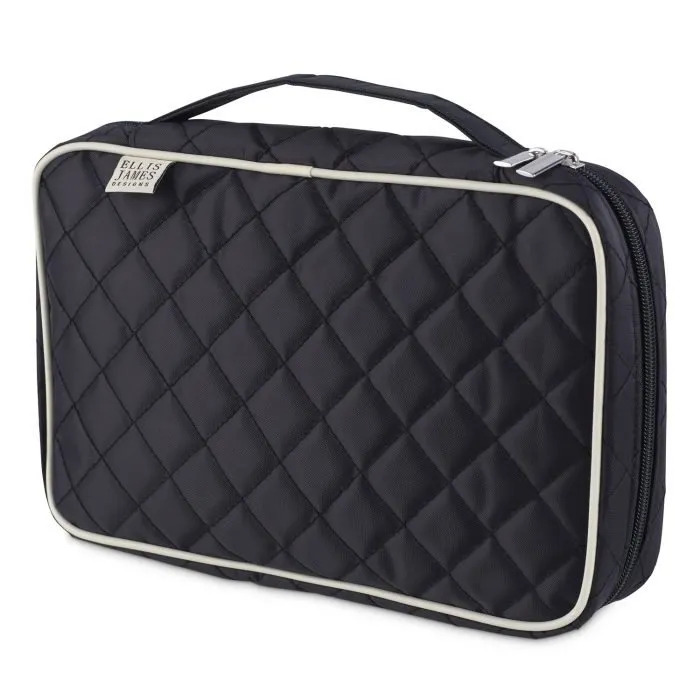 I really love the quilted material of this bag as well. It’s sturdy and durable, and easy to clean! I would recommend this bag to anyone looking for a small and handy makeup brush bag that is able to fit not only just the brushes but makeup as well. 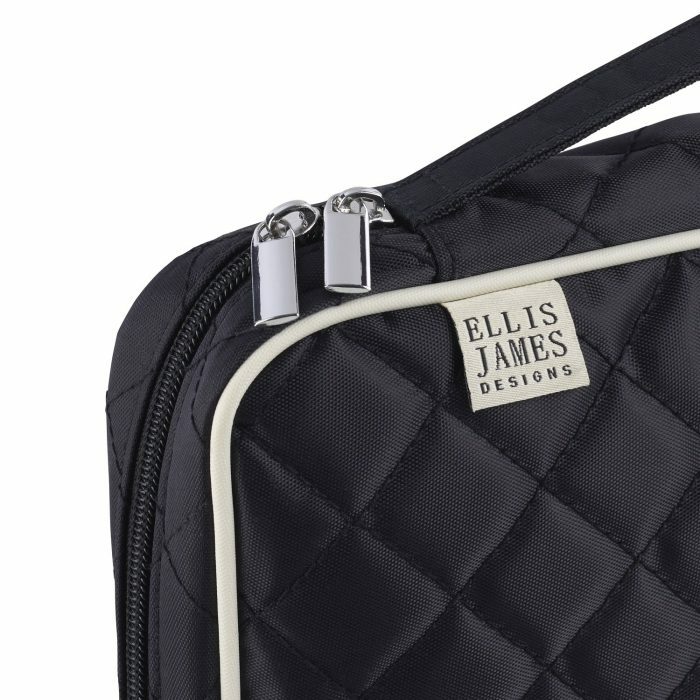 Such a beautiful bag, like the rest of the Ellis James line! They’re all great! This one is compact yet fits a ton of makeup brushes and more! I love it for travel.